Quick note with some awesome news. 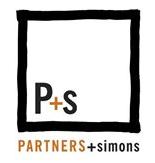 I’m really stoked to announce that I’ve accepted a position as Associate Creative Director, Copy, at PARTNERS+simons, a boutique ad agency in Boston specializing in the healthcare and financial services space. I couldn’t be more excited.